The Norsemen got going as Samantha Green drove in Rachel Shellstrom (2-5, 3R, 2 RBI, 2B) to make it 1-0, Victoria Villegas (2-4, 2R, 2 RBI, 2B) followed with a roped double that scored both Green and Kennedy Labshere (3-5, 2R, 3 RBI, 2B) to give the Norsemen a 3-0 lead. An RBI double by Shellstrom that scored Kelly Olson (2-3, 2R) in the second inning made it 4-0. Monte Vista in the bottom of the second inning scored when Valhalla misplayed a ball to make it 4-1. More runs for Valhalla in the top of the fourth inning came when Labshere lined a single to left that brought in both Jade Hill (R, RBI) and Shellstrom to make it 6-1. In the sixth inning, the Norsemen added eight runs to round out their scoring starting with a double by Labshere to score Shelstrom, Labshere came into score on a Monarchs miscue, Baily Munch (1-1, R, 2 RBI, 2B) doubled scoring both Green and Villegas to make it 12-1, Frankie McGuire singled in Munch, Zoe Glenn scored on a passed ball that got away, Jae Hill singled to score Munch and Shelstrom finished things off with a laced single that brought home Lexi Schmehr to round out the scoring. 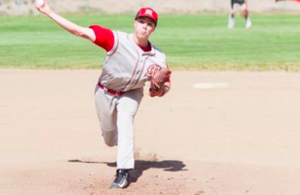 Getting the win for the Norsemen was Delaney Stettler who tossed 5 innings giving up 1 run on 4 hits. The Vaqueros scored early and often in the first couple innings to put the game away and claim the victory. Katie Collier for the Vaqueros would score the first run of the game as she came in on a wild pitch to make it 1-0, Bailey Olaveson (1-3, R, 2 RBI, 2B) reached on an error that scored Hannah Davis (3R), a couple batters later Brooklyn Fukushima (2R, RBI) walked which scored Alexa Williams (1-2, 3R, RBI, 2B) to make it 3-0, both Taylor North and Kiki Angeles walked which scored both Olaveson and Allyson Von Yokes (1-2, 2R, RBI) to give the Vaqueros a 5-0 lead. They scored their final run as Fukushima came in on a passed ball to make it 6-0. The Braves got on the board in the bottom of the first inning to make it 6-1. El Capitan pushed across more runs in the top of the second inning as Williams drove in Collier with a double, Olaveson followed with another double which brought in Davis to make it 9-1, a couple batters North would walk which scored Olaveson to make it 10-1, Angeles singled to score Von Yokes, a couple errors by Braves allowed both Fukushima and North to score which made it 13-1. 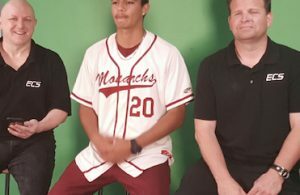 More opportunities presented themselves for the Vaqueros in the top of the third inning when Davis led off with walk, Williams reached on an error, Olaveson followed by reaching on another error to load the bases and Von Yokes singled to score Davis, Katie Hicks hit a fly ball that was misplayed allowing Williams to come in to score to make it 15-1. 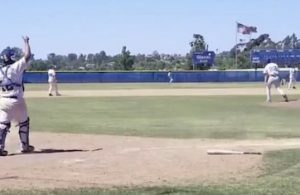 El Cajon Valley scored their final run in the bottom of the third inning on a groundout to make it 15-2. For the Vaqueros in the win Collier only tossed 3 innings to get the win as she only gave up 2 runs on 3 hits while walking 3 and striking out 2. 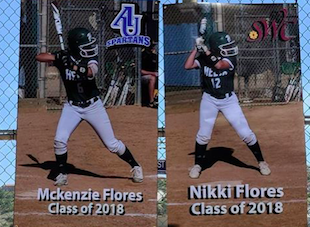 The Highlanders celebrated the senior nights of both Nikki and McKenzie Flores in high fashion as they got the bats rolling early to get the quick victory. Helix took the lead in the bottom of the first inning as Avery Perez led off with a single, Alofa Collins bunted Perez to second, McKenzie Flores blooped a single and Erin Brown followed with a single to score Perez to give the Highlanders a 1-0 lead. A walk and a double allowed the Matadors to knot the game 1-1 in the top of the third inning. However, the tie was short lived as Helix rolled four runs across to retake the lead 5-1. Again, Perez singled, Collins would bunt but this time for a hit. Flores, Brown and Camrun Jonilonis all drove in runs in the inning. Mount Miguel would threaten in the top of the fourth as they drew back to back walks from Laurali Patane but Zoe Kuhlken would come in to relieve and would get out of the inning. Helix in the bottom of the fourth would explode run wise as they pushed across 12 runs thanks to batting around twice. 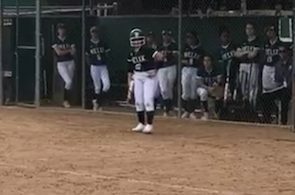 The big night for the Highlanders belonged to McKenzie Flores who in her second at bat in the fourth inning would finish her varsity career in style the way she started it as she jacked a homer. It was in her very first varsity at bat back in 2014 that she belted a dinger over the left field fence and this time around she took the 1-0 offering and jacked it over the center field fence for a three run blast in what is likely to be her final varsity home at bat as the Highlanders will more than likely be on the road in the playoffs.